Why install an alarm system ? Safety comes above everything. Good locks and other prevention resources are a must. Why should you choose best for an electronic intrusion security ? An alarm works both preventive and at an effective intrusion attempt. A burglar will soon pass your house, if he knows that an alarm system (window/door stickers or a visible outdoor siren scare off already!). If the burglar proceeds however with the burglary, then the siren of the alarm system will go off. This scares most burglars and they make a u-turn regarding immediately. The alarm system in a burglary attempt will already give a telephone message, so that you are immediately informed about this. If the burglar however would no be scared off, an appropriate alarm monitoring can will limit the damage. 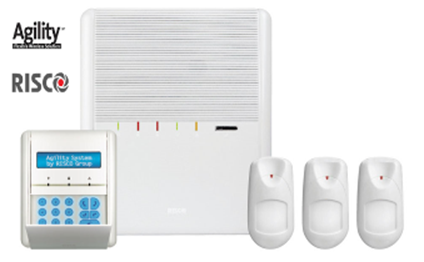 We offer you a wireless alarm system (whether or not in combination with cameras) with no monthly subscription fee and you will be notified on a number of mobile phonenumbers of your choice when there is something wrong. Both with the keyboard as with a handy remote control which we can provide, you can activate and deactivate the system. For your tailor made system contact us !!!! 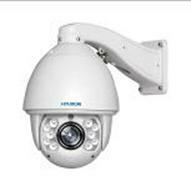 Why install camera surveillance ? Surveillance cameras could serve as a very effective means of prevention. A potential burglar will always be deterred if a surveillance camera at your property is present. Burglars will usually do not want to run the risk to be seen and thus avoid cameras with premises. Should there be broken in anyway, the chance is much bigger that the perpetrator is caught because he has been recorded. 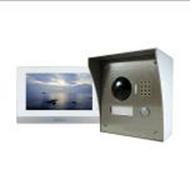 Just as with the alarm systems, the cameras can also be installed both wired as wireless. Also here, modern technology has ensured that wireless systems are reliable and qualitative. There are of course no hood-and break works to be done if one decides to install a wireless camera surveillance. Just for the power supply of the camera, a cable should of course be present. 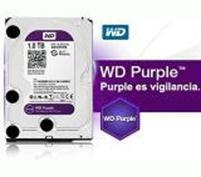 Then one can also make the distinction in the storage capacity and image quality. Good image quality increases the price. Cheaper cameras give a worse image quality, especially at night and just at this time we desperately need the extra surveillance.